It's a frustrating fact of wearing sweaters: Eventually they begin to form unsightly little balls called pills. Perhaps annoying most of all, a higher priced sweater is just as likely to pill as any bargain option. Pills form when the yarn fibers break or pull loose, and roll into balls. Unfortunately, there's no way to guarantee a sweater won't pill when you're inspecting it in the store. Considered a “latent defect” in the clothing industry because they don't appear until after wearing, pills can occur due to over-washing or drying, friction (from a messenger bag, for example), or simply prolonged wear. But fear not! 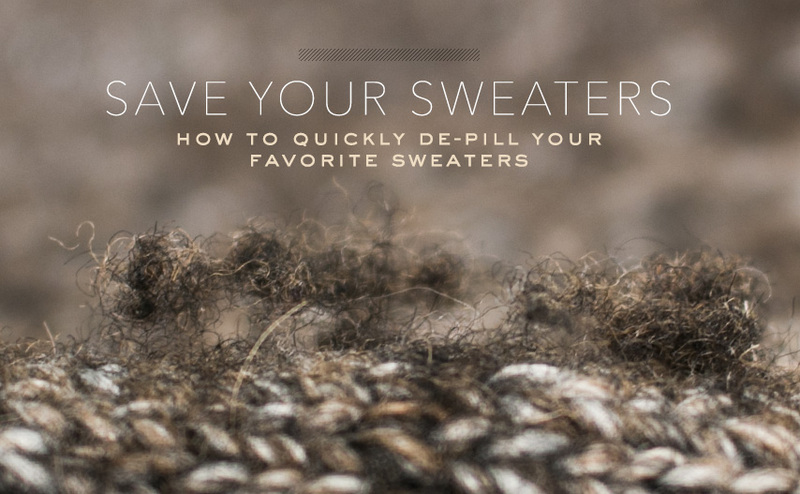 Just because pills have formed on the surface of your favorite sweater doesn't mean it's destined for the trash. There are many dedicated de-pilling solutions on the market, but the best place to start is your own medicine cabinet. Simply grab a disposable razor and lightly brush over the surface. Pressing too hard can exacerbate the problem by cutting or breaking more threads. You can see the dramatic effect on my own sweater. This pullover is a super soft Alpaca sweater I picked up a few seasons ago but quickly got lost in the depths of my sweater drawer. I had put it in the dryer, a huge no-no for sweaters in general but even more so for ones made of finer yarns. I stumbled upon it this season as I was preparing for the oncoming chill and decided to see if I could salvage it. The razor method worked like a charm! Any recommendation one where to buy jumpers at? I’d like something at a decent quality that isn’t going to break the bank. Another idea to help combat pilling, on a wide variety of clothing, is to turn the surface you don’t want to pill to the inside when washing and drying (if machine drying). Great idea. It came on the right time! Merry Christmas, Andrew! Thanks for all you do. This is a really great way to ruin your clothes. Just buy a $5 sweater comb off of Amazon. 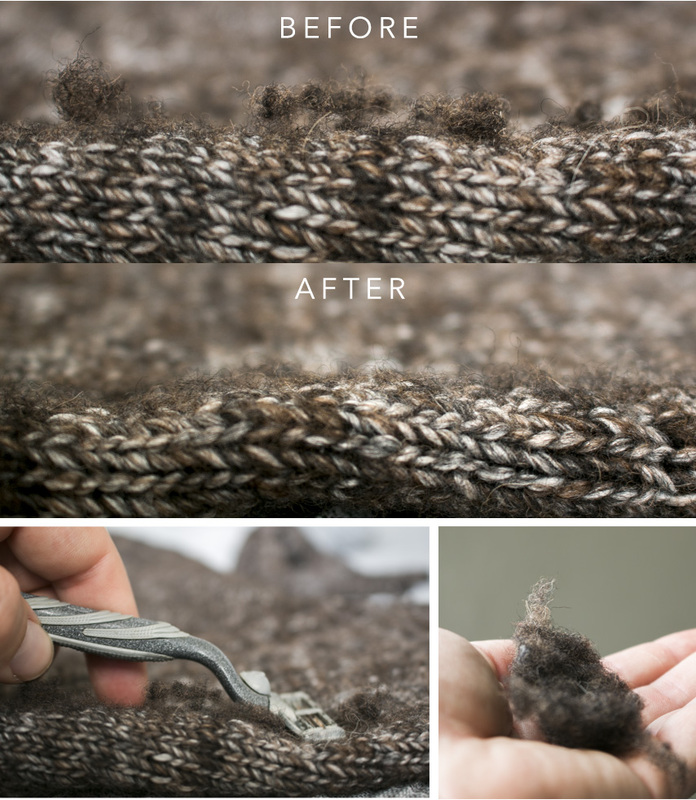 I’d hear of using a razor before, and had no idea a sweater comb existed. Thanks for both tips!